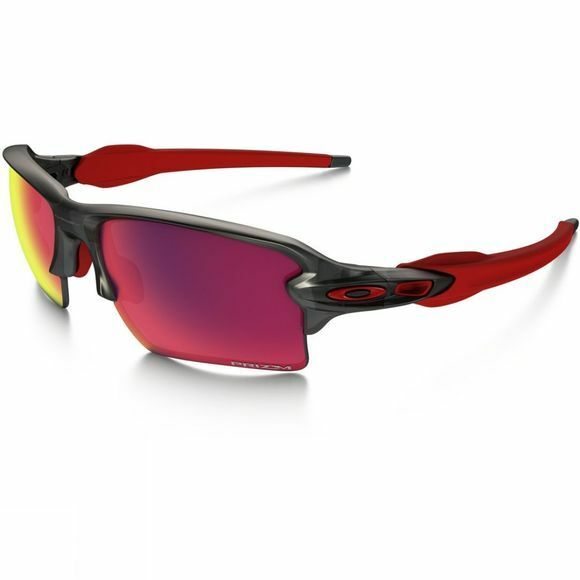 The Flak 2.0 XL Prizm Road Sunglasses from Oakley take performance sunglasses to the next level. This XL edition has a standard sized frame that offers enhanced lens coverage and specialised curvature for protection against sun, wind and impact. The Prizm lens fine tunes vision for specific sports, in this case road sports, the filter of the lens has been adjusted according to the more important colours which in turn helps to enhance visual clarity so you can see the changes in texture of the road surface ahead more clearly. The O-Matter frame is stress resistant and lightweight for all day comfort and protection as well as durability.